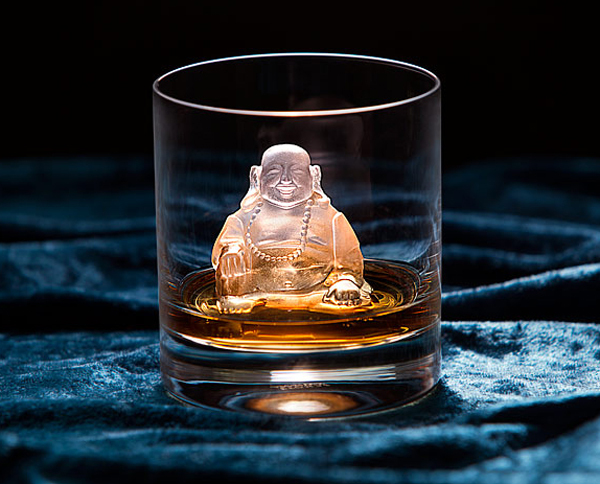 Makers of the world’s most completely unnecessary and yet amazing products, Thinkgeek have come up with a must-have for your wet bar/Zen temple. 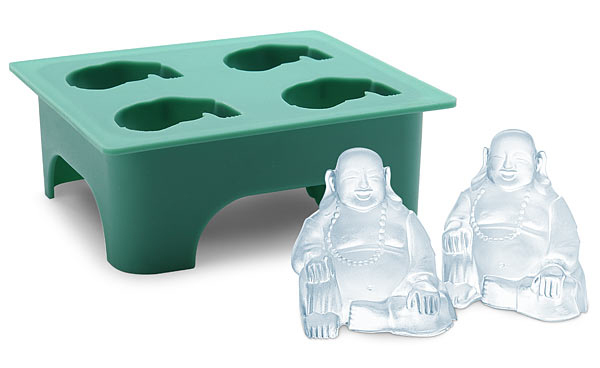 The spiritually enlightened Laughing Buddha ice tray includes four fillable Siddartha slots, each holding 1.5 ounces of water — lest you prefer to use them for belly jiggling jello shots. It is also nice to know this Laughing Ice Buddha is freezer and dishwasher safe. If you’re really feeling karmically inclined, use him to make a quartet of chocolates or candles. Just as a candle cannot burn without fire, man cannot live without a spiritual life. So cheers, and drink up. Have these buddha holes shipped to your door for $10.